I’ve written before about how racist costumes really ruin my Halloween. 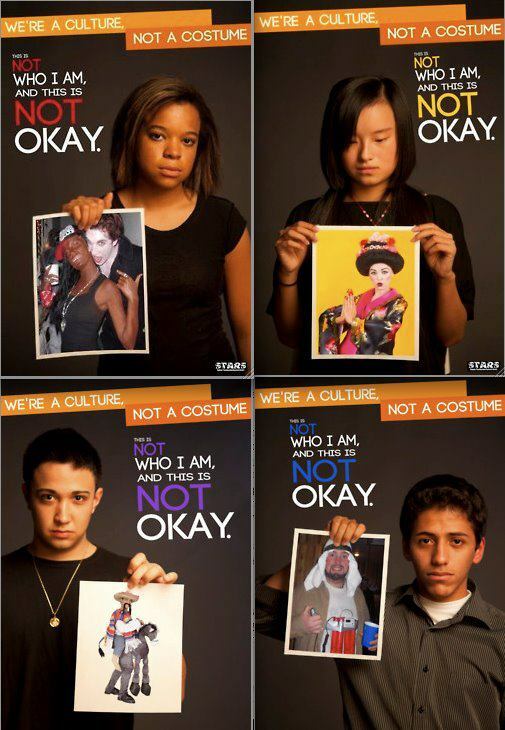 And Sociological Images has a great breakdown of the different ethnicities that fall victim to Halloween racism. I don’t know who’s produced it, but I do know that it’s a great reminder to everyone costume-hunting this season. Please remember: these costumes aren’t who we are, and it’s not okay to perpetuate these kind of stereotypes. Posted in Extras on October 24, 2011 by Fatemeh Fakhraie.